Opening of Olympic games. You mean Olympics, right? Well yes, the Olympics did open last night but alongside that is a massive knitting event which used to be called Ravelympics. in 2014 the Olympic committee objected, so our event is now called Ravellenics which isn't half such a good name. But the good bit is that over 6,000 knitters were signed up and many of them will have cast-on when the lightshow started in Rio. A very moving occasion with the emphasis on the environment and efficiency. If I thought it would change anyone's ways I'd be even more happy. Last week at Fibre East, I bought this alpaca/silk mix in the perfect silvery-grey colour. 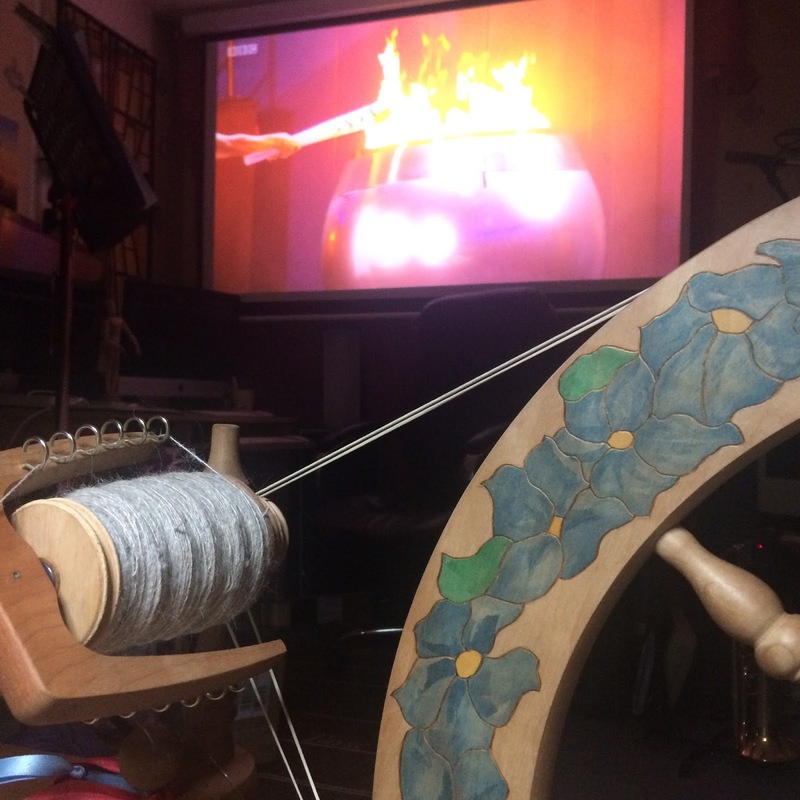 At midnight our time, the opening ceremony started and so did my spinning (and the mass cast-on around the world). 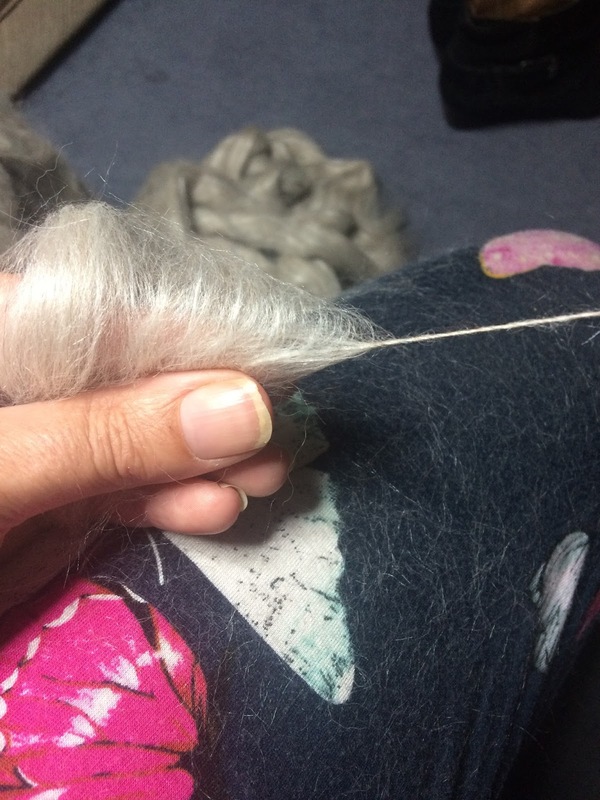 The fibre turned into liquid silver as I spun. It's a real pleasure to work with. 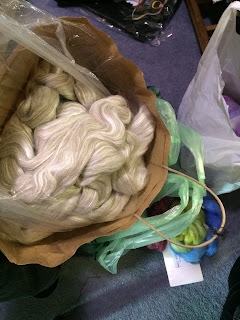 By the time the teams were all in and the cauldron lit, I'd spun my first bobbin-ful. Tired but happy.